Mr. Terry is a Valuation Associate that works out of Generational Equity’s Dallas office. He works with clients to conduct a detailed analysis and prepare valuation and exit planning reports designed to illustrate industry and business performance, projections, and overall enterprise value. Prior to joining Generational Equity, Colin held roles in Big 4 public accounting and real estate. 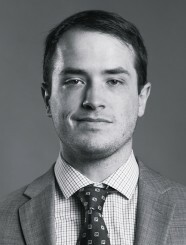 Colin earned a Bachelors of Business Administration in Accounting and a Masters of Accountancy from Baylor University. He is a licensed Certified Public Accountant (CPA).